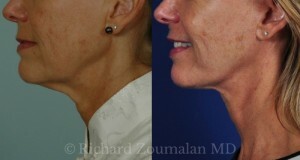 This patient also underwent necklift to improve banding in her neck. This is the result of overactive platysma muscles. 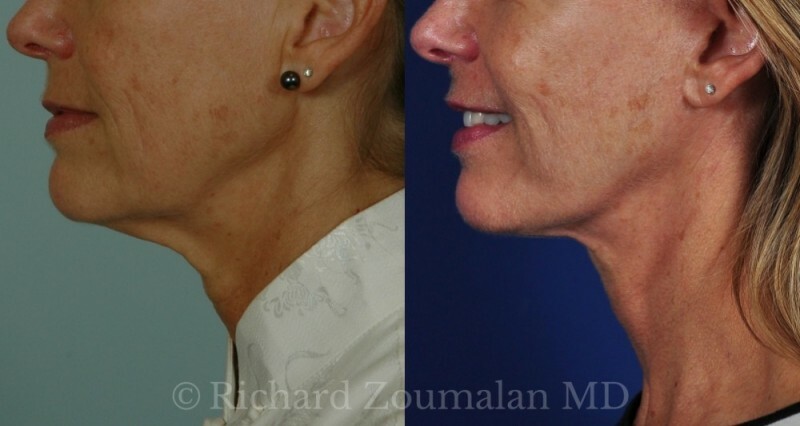 Dr. Zoumalan uses a minimally invasive deep-plane technique to help with this.